We provide a full range of services for rental properties, including: carpet cleaning, carpet restoration, stain removal, spot dying, deodorizing, and 24 hour emergency water	extraction. 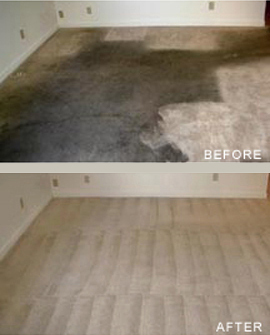 Professional Carpet Care currently provides services to over 2,000 small rental properties in Durham and Chapel Hill. 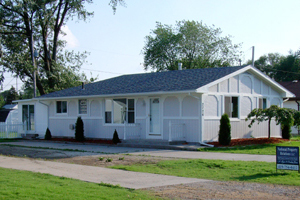 We have the experience, staff, and employees to handle the special needs of your rental properties, and, depending upon the numbers of units you own, we also have special pricing available for vacant units. Restorative Cleaning - with over 20 years experience cleaning heavily soiled and stained carpets, we can restore many of the carpets you would normally replace. See photos in apartment services. What Property Managers Are Saying! As a professional property manager, I've worked with a number of carpet companies. It is extremely important that I have a company I can trust to do the best job at the best price. I recommend these guys frequently, and they do a great job, which makes me look good too! Michelle K.
Since joining Red Door Company exactly one year ago, Professional Carpet Care has quickly become a valued vendor for carpet cleaning services. They have been extremely reliable in providing service to over 30 of my properties this year, and I have consistently found the results to be extraordinary! They always go the extra mile to battle tough stains like no other service that I have ever experienced. Steve and Jason are both great to work with, and I find their prices to be very fair for a job well done!